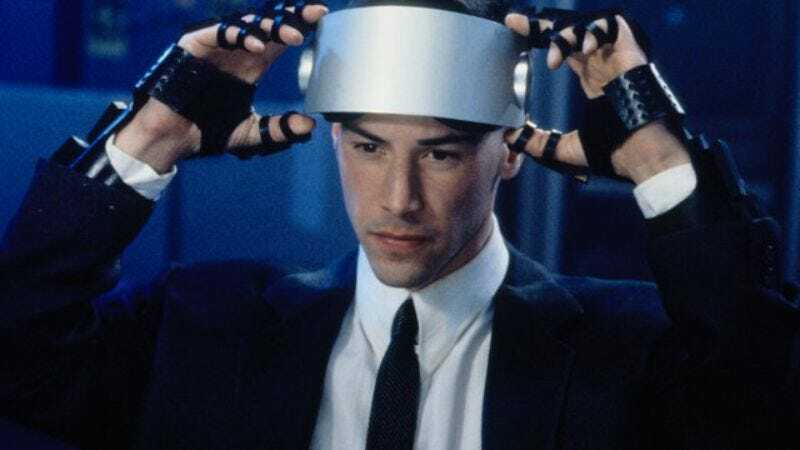 Promising to take viewers into the mind-blowing future of 1995, veteran exploder of things Roland Emmerich has teamed with master of being slackjawed at technology Keanu Reeves to produce a new show about virtual reality. The series will be titled New Angeles, after the digital realm its characters use to escape the banality of their surroundings and Spanish definite articles. It concerns an ordinary man who goes “down the rabbit hole” of that virtual realm to adopt an entirely new identity, which soon opens up a world of intrigue that will lead him to his true destiny, much like anyone who’s ever posted an Internet comment. It’s also very similar to that other Keanu Reeves project you may recall, Sweet November.